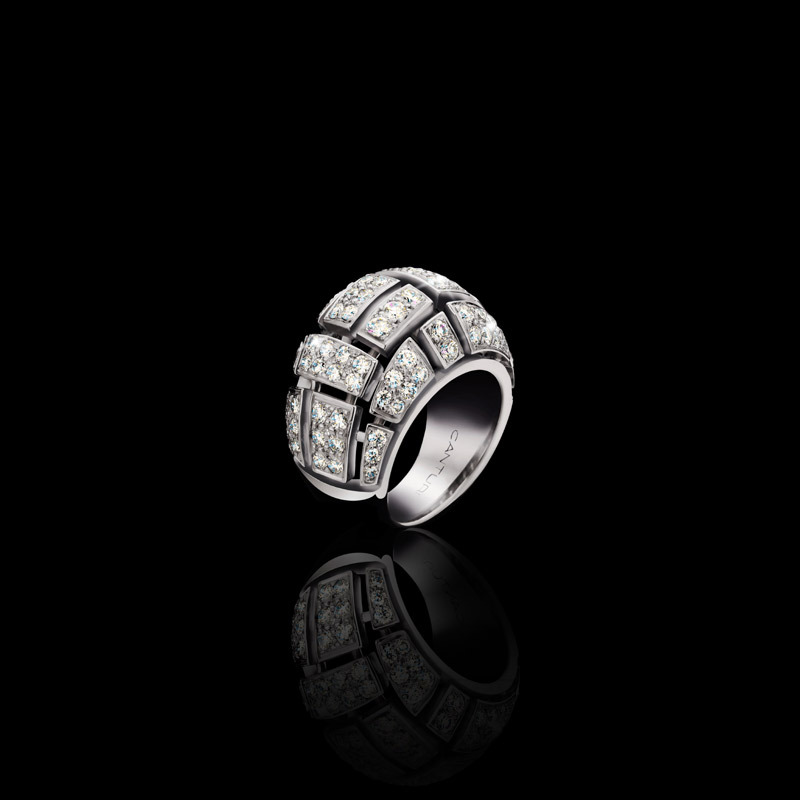 Canturi Cubism pavé domed ring featuring round brilliant cut diamonds in 18ct white gold, also available in yellow and pink gold. Canturi Cubism Pavé cocktail ring featuring an Oval citrine gemstone and diamonds in 18ct yellow gold. Canturi Metropolis cushion cut Australian black sapphire and diamond ring. Also available in a variety of gemstone shapes and sizes. In 18ct white gold, also available in yellow gold or pink gold.